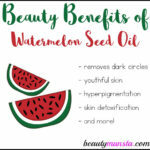 10 Gorgeous Benefits of Papaya Seed Oil for Skin - beautymunsta - free natural beauty hacks and more! We normally discard papaya seeds when cutting up a papaya. But did you know that these seeds are actually used to produce the precious papaya seed oil? Yup! 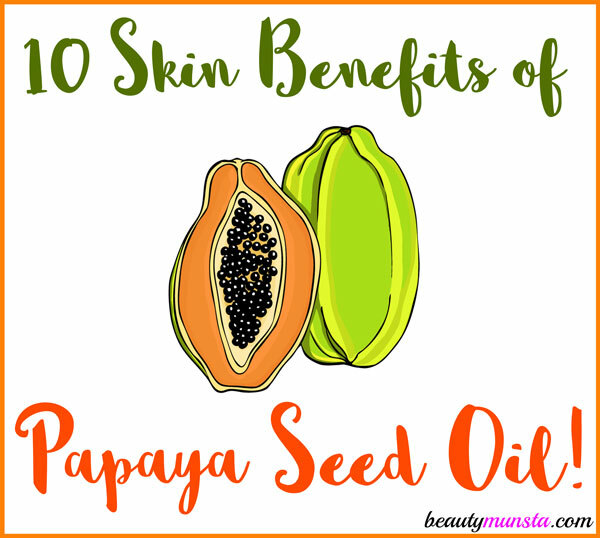 And in this post, we’re going to cover some amazing benefits of papaya seed oil for skin! 1. Can be used for Oil Cleansing. Papaya seed oil has a non-greasy and light texture so it’s perfect to use for oil cleansing. What’s more is that it’s shelf life is 2-4 years so it’s very stable. You can use it on its own for oil cleansing or make a blend of ¼ cup of papaya seed oil and ¼ cup of grapeseed oil. Store in an amber bottle. 2. Natural Exfoliant. How many oils have you heard are natural exfoliants? Little to none, right? Now let me reveal to you that papaya seed oil is one of them! It contains papain, one of its active enzymes that has exfoliating properties. This enzyme actually dissolves dead cells on the skin, thereby promoting soft and smooth skin. 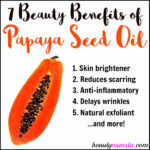 So if you’re skin is very flaky, even after using different scrubs on it, it’s time to invest in papaya seed oil! 3. Reduces Scarring. Got scarring of any kind? Papaya seed oil is sure to be of help! It contains Vitamins A, C and E, all of which are powerful compounds to lighten scars. You can make an anti-scar potion with papaya seed oil like so: Get a 1 oz amber dropper bottle, and fill it with 1 tbsp papaya seed oil. Now add 2 tsp rosehip seed oil. Finally, place 5 drops lemon essential oil and 5 drops carrot seed essential oil. Dab a drop onto your scars or massage it on larger scars to help lighten them. This can also be used on closed wounds to prevent scarring. 4. Lightens Skin Tone. 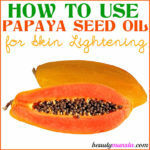 Yep, papaya seed oil has skin lightening properties. That’s because of it’s main active enzyme which brightens and lightens skin. It’s also rich in carotene, just like carrot seed oil which good for skin lightening purposes. 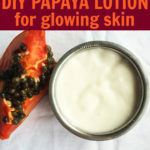 You can use it as a moisturizer on its own or make a skin lightening blend by combining 1 oz papaya seed oil, 5 drops carrot seed essential oil 4 drops sandalwood oil and 3 drops lemon oil. Apply this on your face every night to lighten your skin tone. Wash your face in the morning. 5. Heals Blemishes. Got blemishes? Use papaya seed oil to heal them! We already saw that papaya seed oil lightens skin and reduces scarring. So it’s an expert oil at healing blemishes of any sort. You can use it by adding a few drops to your usual moisturizer. 6. Gives Skin a Healthy Glow. If you have dull and ashy looking skin, use papaya seed oil. It has skin brightening properties that will rejuvenate lifeless skin cells and give you an instant natural glow! 7. Softens Hyperpigmentation. Even out your skin using papaya seed oil. 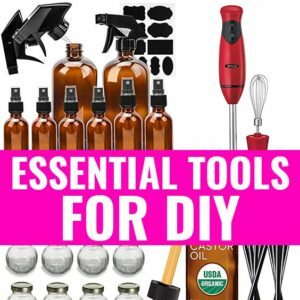 A simple hyperpigmentation-reducing body oil I love is mixing up ½ cup of papaya seed oil with 15 drops carrot seed essential oil and 10 drops of geranium essential oil in an amber bottle. Use all over your body after showering. 8. Reduces Inflammation. Papaya seed oil has anti-inflammatory properties as well! You can use it to treat inflammatory skin conditions like eczema and psoriasis. Simple apply it on the affected areas right before a bath/shower on wet skin, then towel off. 9. Fights Acne. Acne inflammation can be reduced using papaya seed oil. It also has an antibacterial effect that fights off acne causing germs. You can mix 1 tbsp of papaya seed oil with 6 drops of tea tree essential oil (3 drops if you’re skin is very sensitive) and use it on acne prone skin at night time as a natural treatment. 10. Delays Wrinkles. The incredible antioxidant properties of papaya seed oil deeply nourish and renew skin cells, promoting youthfulness. It’s also rich in nutrients like Vitamin C that encourage collagen production. This delays wrinkles and fine lines on the skin! Make sure to buy 100% pure all natural papaya seed oil, without any additives. My recommended brand is Botanical Beauty’s Pure Unrefined Cold-Pressed Papaya Seed Oil that comes in a 4 fl.oz bottle. It’s best to apply papaya seed oil at night time because it exfoliates skin. Freshly exfoliated skin shouldn’t be exposed to sunlight as it is very sensitive and easily prone to sun damage. Avoid/consult your doctor first before using papaya seed oil during pregnancy/lactation/if trying to get pregnant. Before you use papaya seed oil, do a patch test with it. 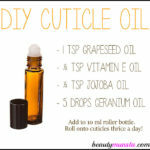 This can be done by applying 2 drops of papaya seed oil on your inner elbow. A patch test will help check if you’re allergic to papaya seed oil. If you notice any irritation within 1-2 hours, do not use the oil. If no irritation, then yay! Go ahead and use it!